Your Domain Name can be fundamental to the effectiveness of your business web site, and may even influence your Business Name, so it is important that you establish your domain name as early as possible. WebConsulting offer a lot more than just selling domain names – we povide consultation and advice to your business, on selecting and registering your own domain name. We can also make it simple for you and register a domain name on your behalf, and we typically include a domain name registration as a part of our standard Site Development packages. The following few paragraphs provide some general information about Domain Names and the Domain Name Registration process. Registering a domain name is similar to registering a business name, and each country has one or more central co-ordinating bodies for the registration of domain names. Different eligibility rules apply in different countries. You will also need to make a decision about what type of domain name is most suitable for your business – the most common ones in use by Australian businesses are .com.au and .com but there are plenty of others to choose from. As a part of the domain name selection process, you should check whether it is available. Domain availability searches for .com.au or .com domains can be done directly at WebConsulting Domains. International domain availability enquiries can be done at UWhoIs . The registration of a .com domain name has no eligibility criteria. If you want it, and it is available, there is nothing to stop you (or anybody else) from registering it. The registration of a .com.au domain name, however, has quite specific rules of eligibility. Unless a domain name is being applied for by a private individual, the registration application must be placed in the name of the business or company that is making the application – with very tight guidelines as to how close the domain name needs to be to the name of the business registering it. You can use the Name Derivation Tool to check that your business name and intended domain name match. Registrations by companies, partnerships, sole traders, or registered associations must be accompanied by an ACN, ABN or registered business number. If you do not know what yours is, a search facility is available on the ASIC web site, or the Federal Government’s Australian Business Register . Some people find Domain Registration can be a technically daunting process. 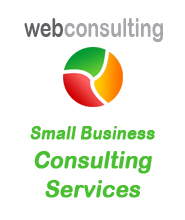 However, WebConsulting can provide you with advice or setup a Domain Name on your behalf. If you do register your own Domain Name, it is essential that you print out everything and keep copies of every email that results from the registration process – your hosting provider will need all of this information. Once you have a Domain Name – you will be required to renew the registration annually (after the initial 2 year registration period). A reminder notice will be sent by the registration authority, but if you have changed email addresses, or if the domain was not registered in your name initially, you may miss out on the reminder. It is important that you know when your domain name renewal is due. If you fail to re-register, the domain name will become available “on the open market” and may be registered by someone else. Domain Name prices have dropped significantly over the last year or so, therefore when it is time to renew, take a look around at the marketplace, you may very well be able to renew at a lower price than the one being offered by your current registrar. Once you have registered your domain name, you could simply leave it “parked” for later use. However, if you want to use it for your email address (e.g. yourname@yourbusiness.com.au) or for a website (e.g. http://www.yourbusiness.com.au ), then you will need to arrange a hosting plan as well. See our Site Hosting page for more information.